With a simple pull or push of the S2 Slider handle grip, it gives the savvy angler real time control of the handle extension length throughout the fish capturing process. Features an increased load-bearing capacity. 48" Slider handle extends to 108". 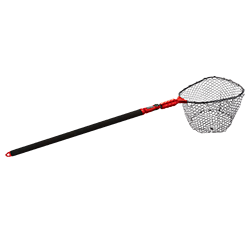 Rubber mesh net.